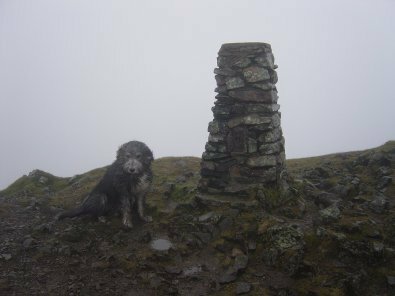 Weather: Dull, overcast – rain and strong wind on the tops. 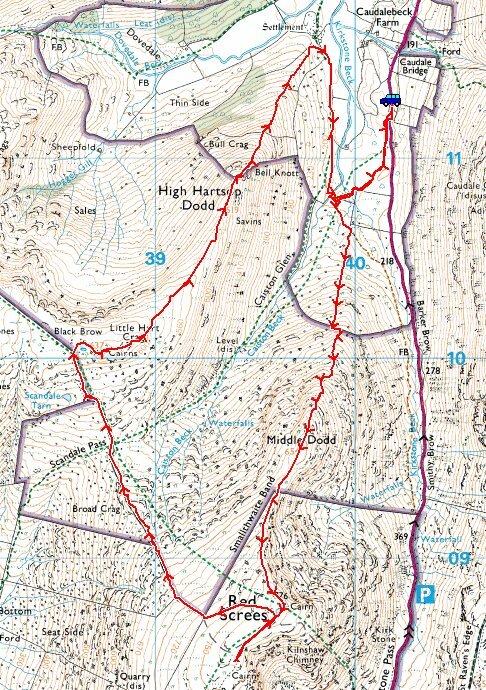 Today’s walk is a steep ascent up to Middle Dodd and Red Screes from the bottom of Kirkstone Pass, across the Scandale Pass and a lovely ridge walk from Little Hart Crag to Hartsop Dodd, then a steep descent back to Kirkstone Pass. 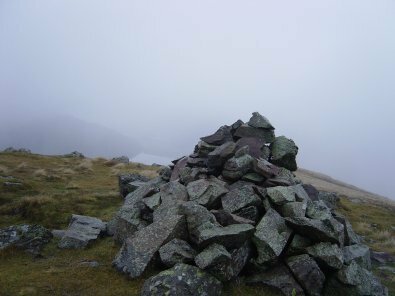 The weather wasn’t brilliant again today but the high winds meant that there was the odd clearing of the mist to give fleeting glimpses of a view. 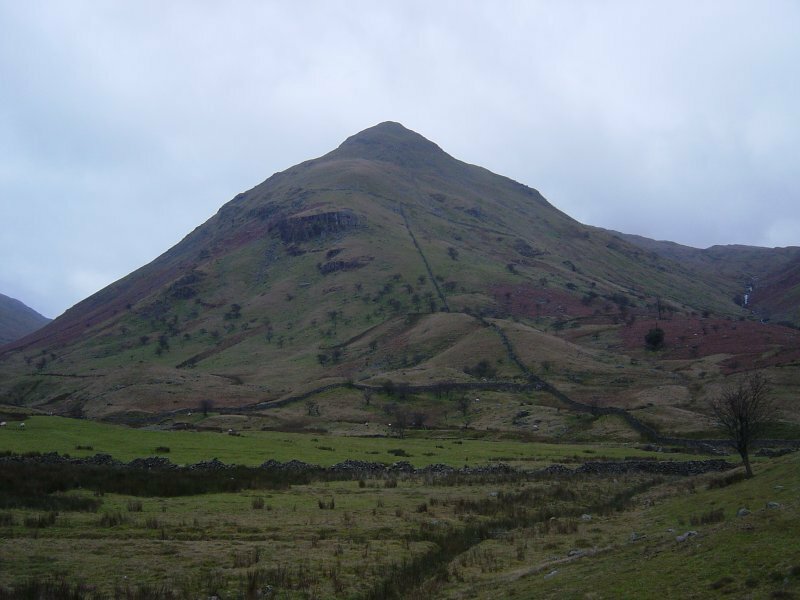 Middle Dodd at the start of the walk. 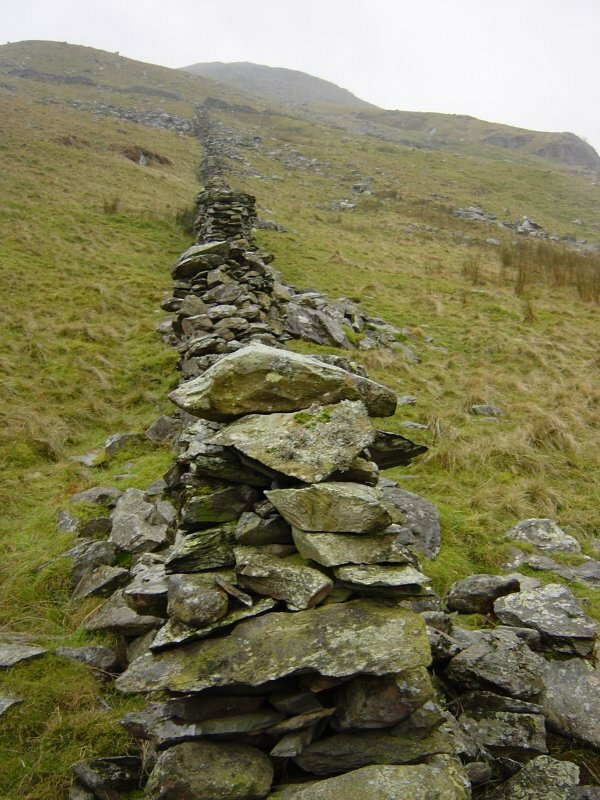 Following the wall up the steep ascent. 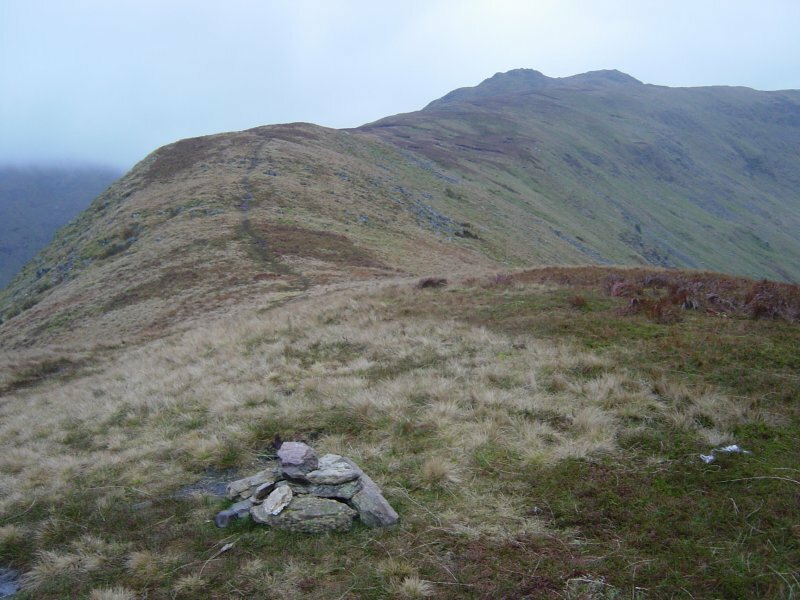 Little Hart Crag from Middle Dodd. 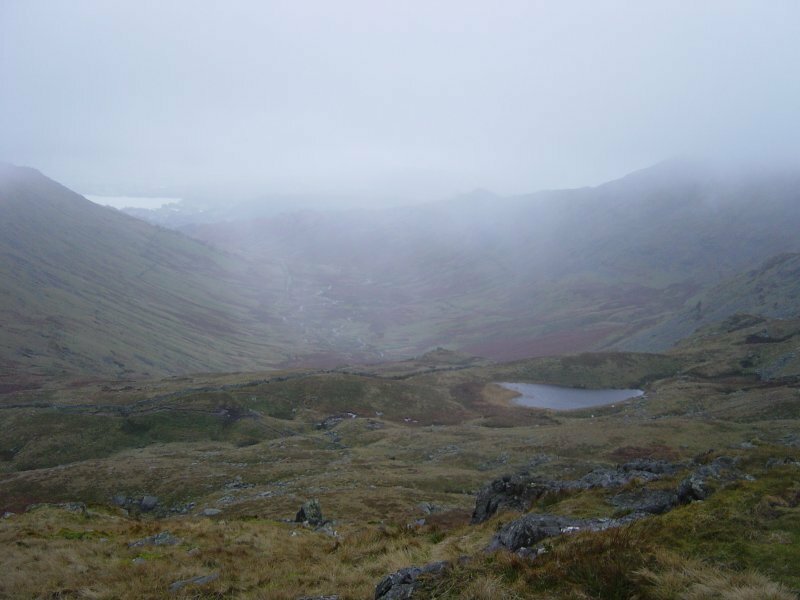 The mist clears briefly on Smallthwaite Band on the way to Red Screes. 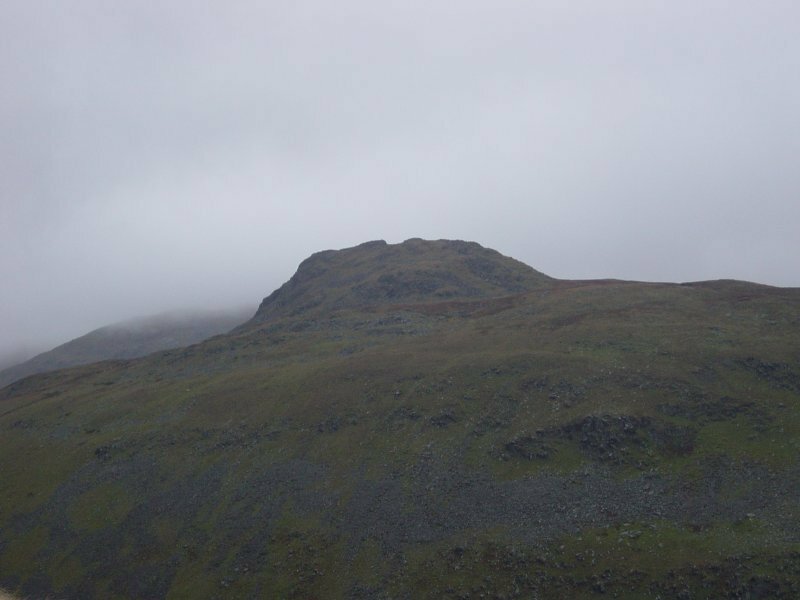 A fleeting glimpse of Little Hart Crag from Scandale Pass. 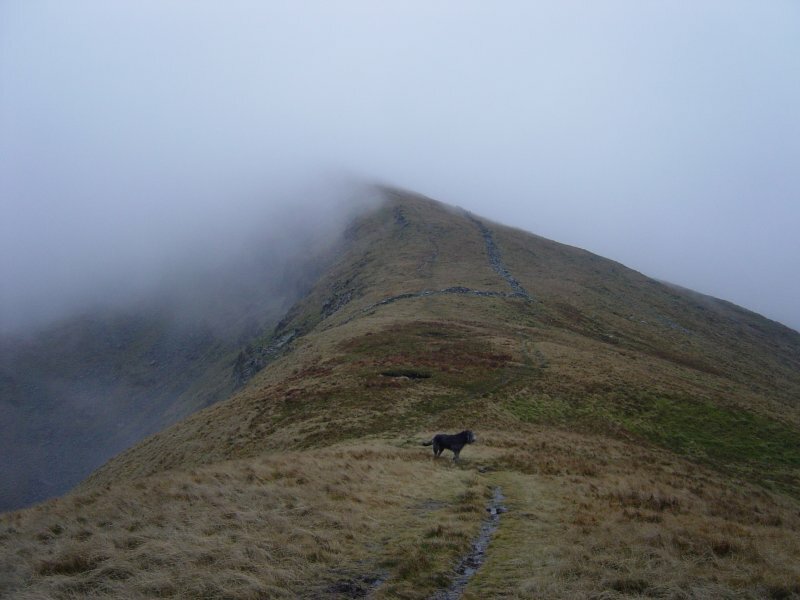 A misty view of Scandale from Little Hart Crag. 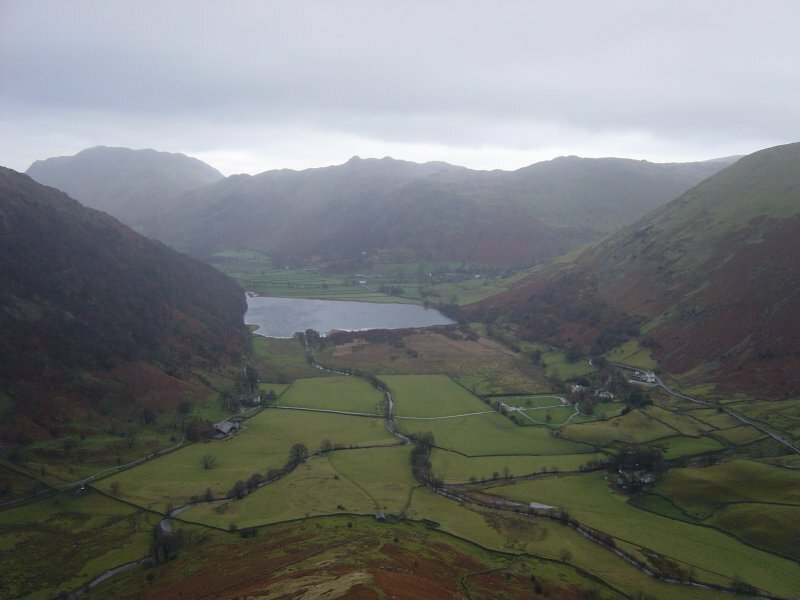 Windermere is up to the left, Scandale Tarn to the right. 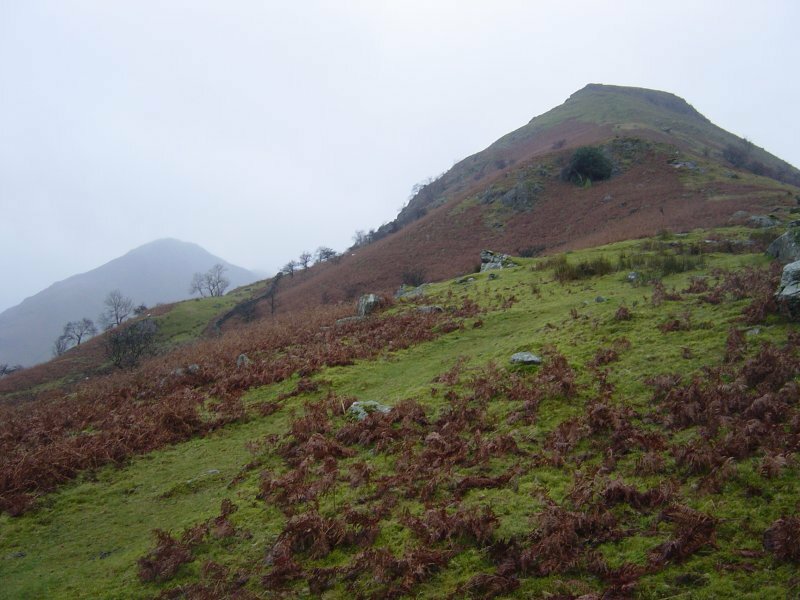 Looking back along the ridge to Little Hart Crag from High Hartsop Dodd. 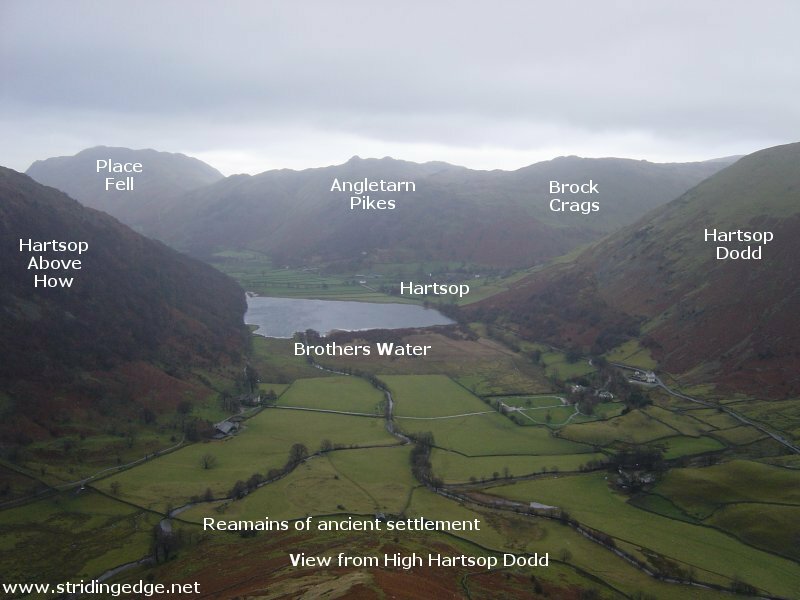 Brothers Water and Hartsop from the steep descent from High Hartsop Dodd. 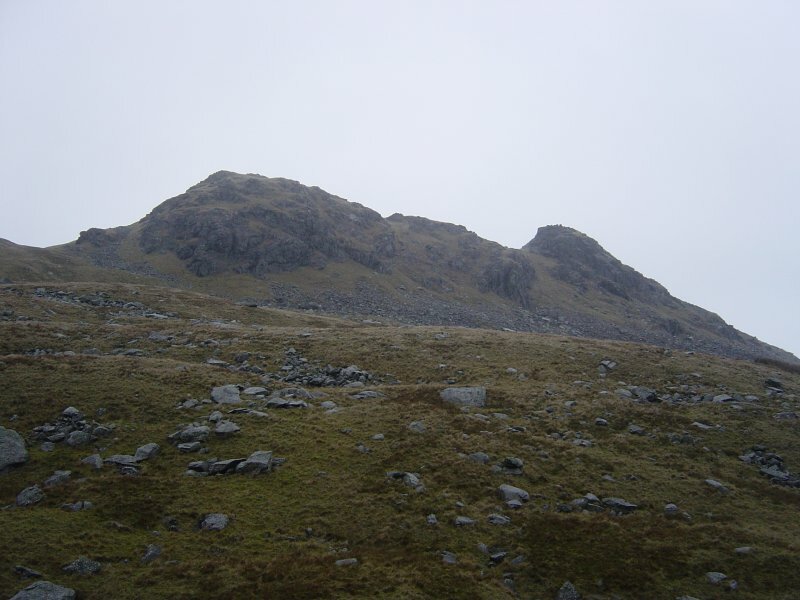 See below for an annotated version of this photo. 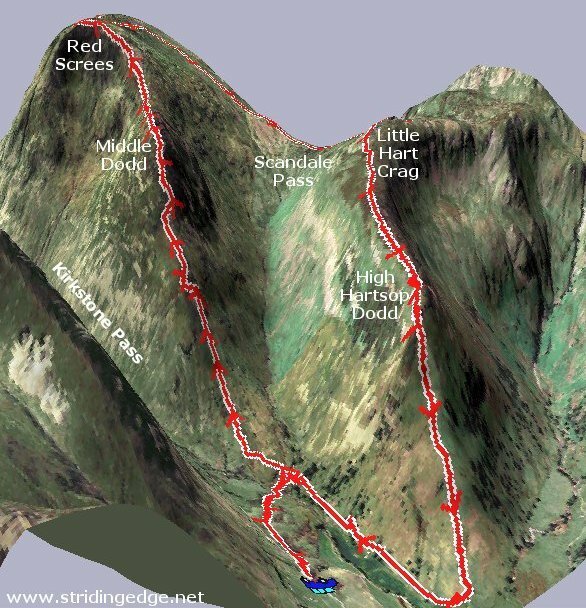 Twin peaks - Middle Dodd and High Hartsop Dodd.